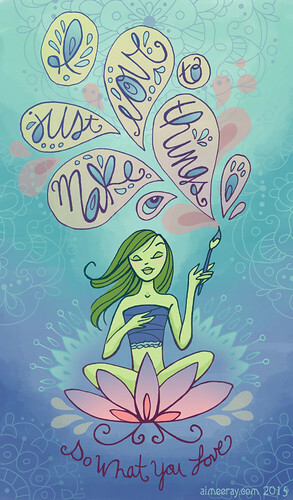 Here is my art manifesto for Lilla Rogers MATS contest! Ironically, I didn't think about how this art would sell at all when I was making it, I just did it for fun. That's one of the many things that has ingrained itself into me from her awesome classes though! I may print this and hang it in my studio just for me.